-EFI and secure boot disabled. The system hangs after that. Since it effects 2 ISOs, did you try with another USB stick? How did you create the USB? 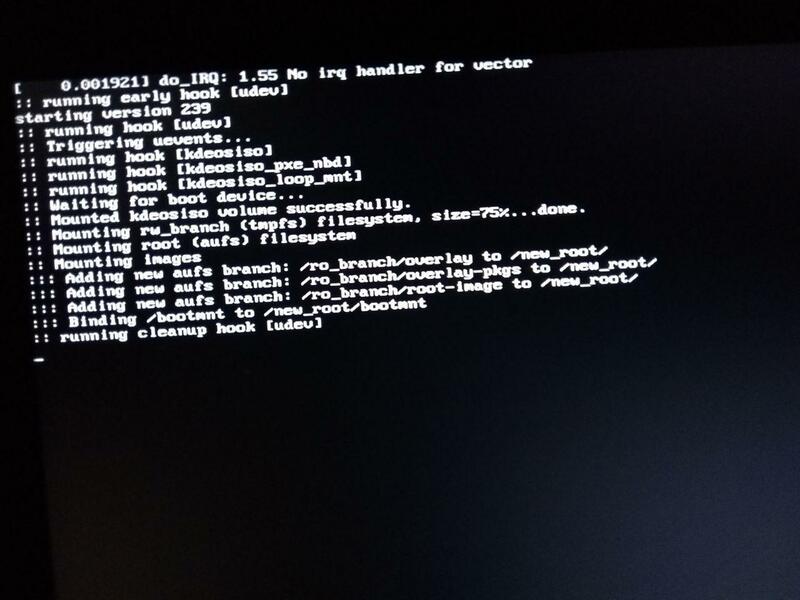 If all those are done proper, info needed where the hang occurs, edit the kernel line on boot (use the e key on UEFI bootloader) and remove quiet and set systemd info to 1 from 0. How did you create the USB? ->No more signal to monitor. a pair of lines more and no signal to monitor. After a little bit of googling it seems that the APU (AMD E1-1200) is the problem. If you think it is a graphics problem, test that first by starting in cli mode, edit the kernel line and add 3, if that finishes the boot process, login with live/live. From there get some hardware info using inxi inxi -G for example. So it boots fine without X? Thus not a kernel or cpu issue? Yes, it boots just fine. But i don't think it's important. 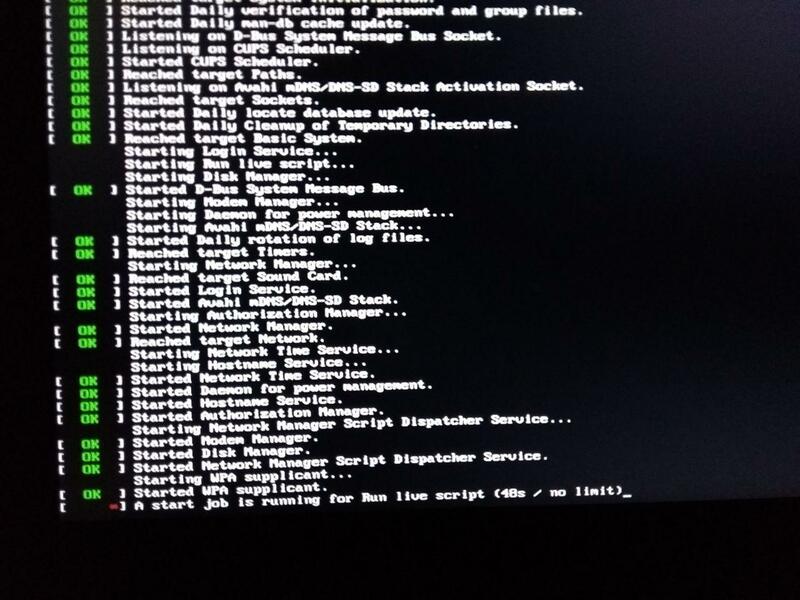 Then try booting in X with the vesa driver, blacklist all radeon/ati on the kernel boot lone and set them all to 0. If that still fails, then probably a plasma issue. How much RAM does this system have? Any memory on the GPU at all? It seems that any kernel newer than 4.0 doesn't supports the AMD E1-1200 APU. Using an old Debian 8 ISO it works. If you are interested, I can do any test you tell me, so any other KAOS user can be benefited reading this thread. How much RAM does this system have? Any memory on the GPU at all? It will probably be to hard to do all kinds of test through a forum, would have been interesting to see though what launching a Weston instance would produce.....But that would mean working from cli to update, then install weston.